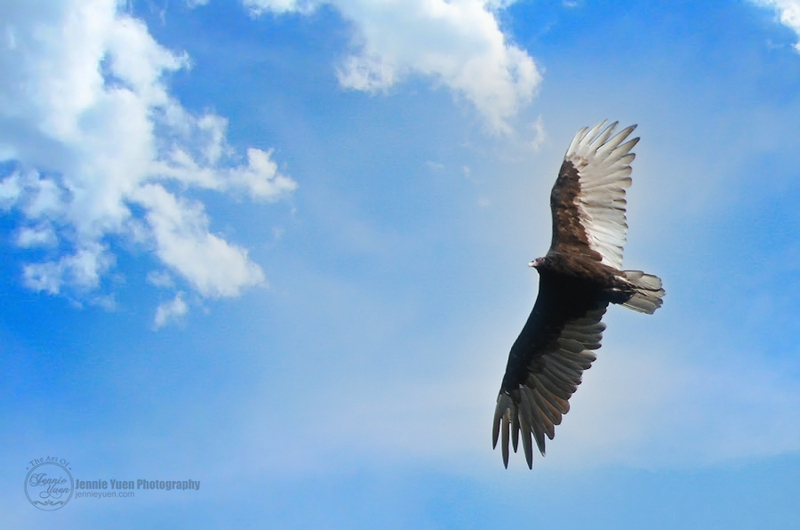 I think I've captured a vulture soaring in the sky near Harrison Hot Springs, British Columbia. At first I thought it was an eagle, but the wings are different. See more animals and wildlife photos in my Facebook Gallery.